Nothing is cuter than fun candy corn themed Halloween treats and Beth will show you how to turn a plain ice cream cone into a fun candy corn cone in a few easy steps. You can use them to hold treats for your Halloween party or top a Halloween sunday with one! 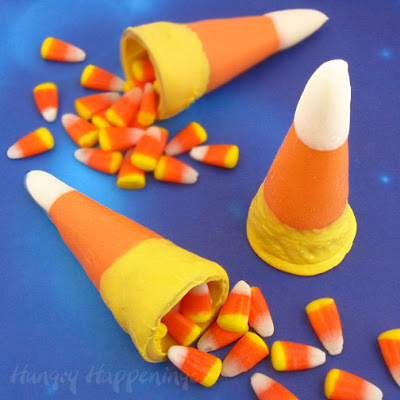 Check out how to make candy corn cones over at Hungry Happenings. Wow you posted this fast. THANKS!! !